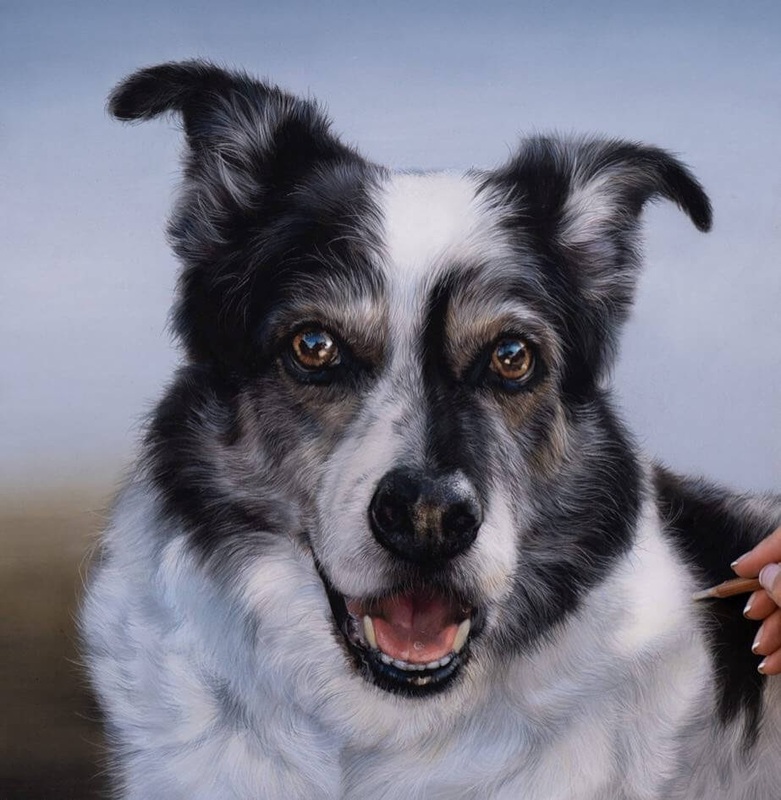 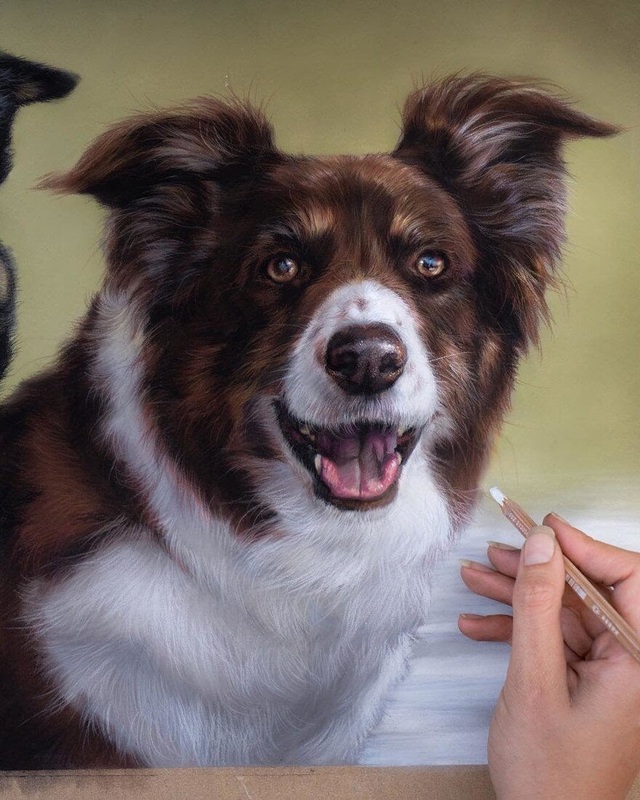 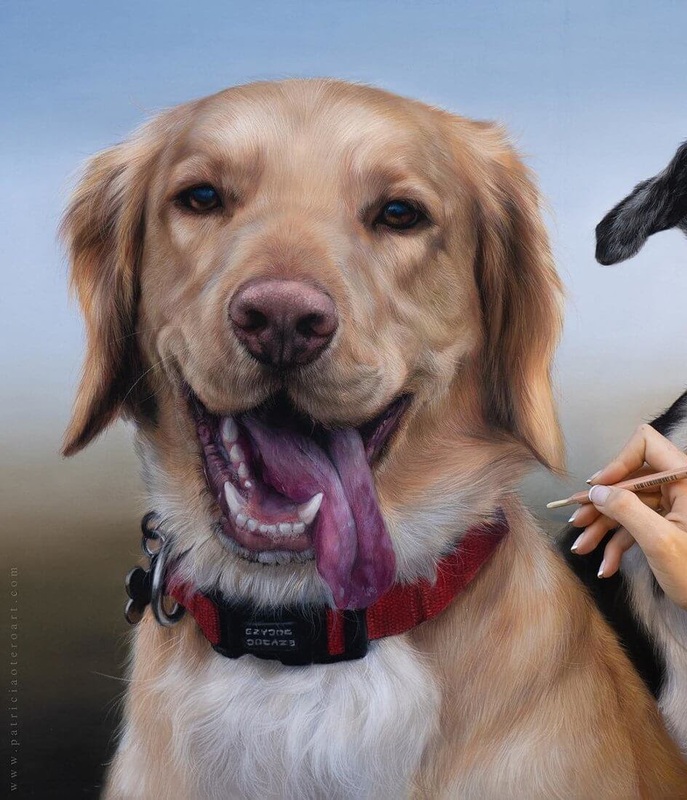 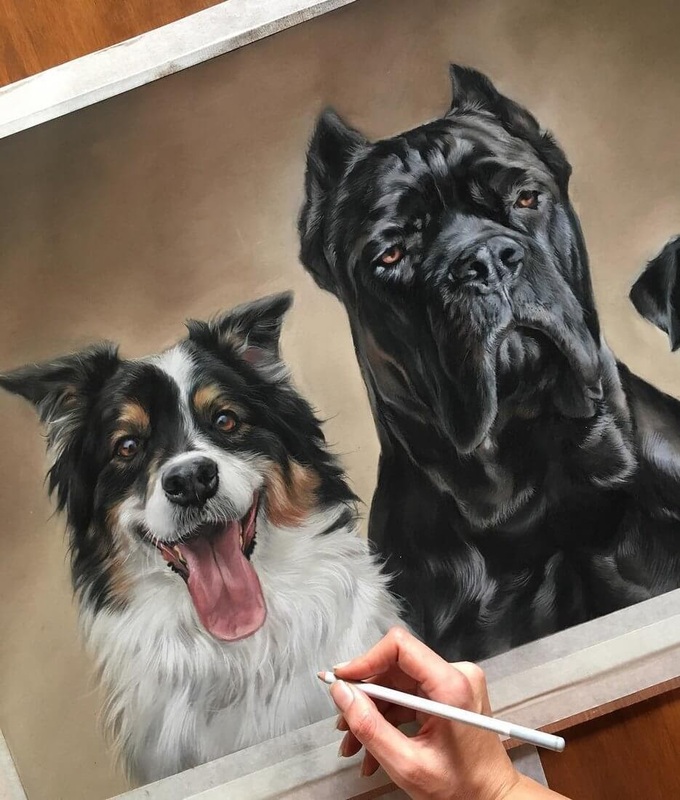 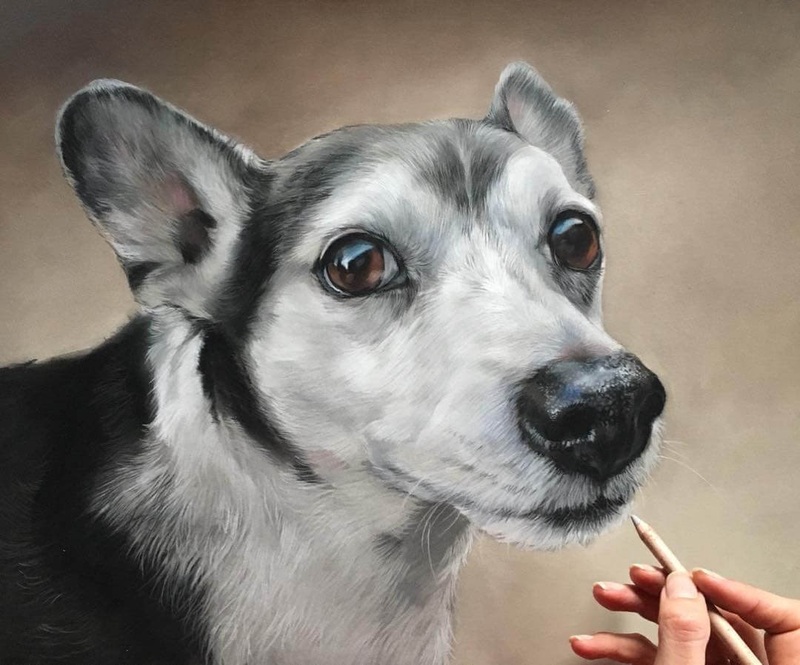 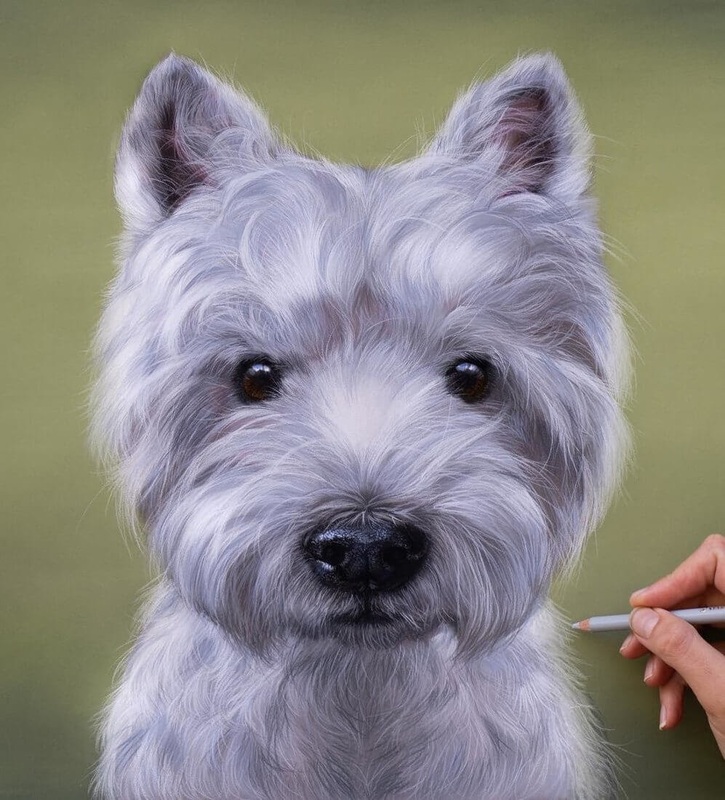 An artist that is able to reproduce, through drawings, the expressions and general appearance of out favourite 4 legged friends. 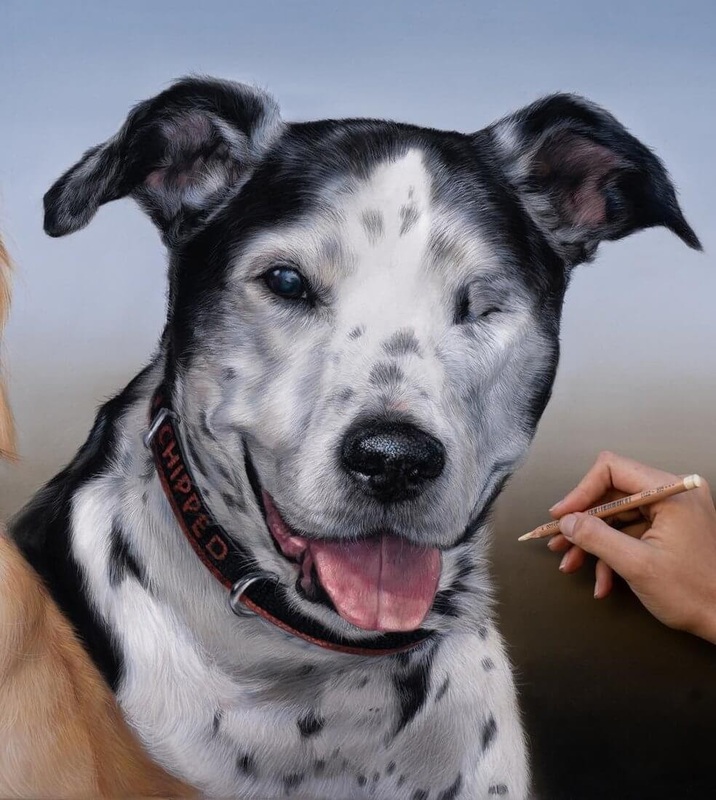 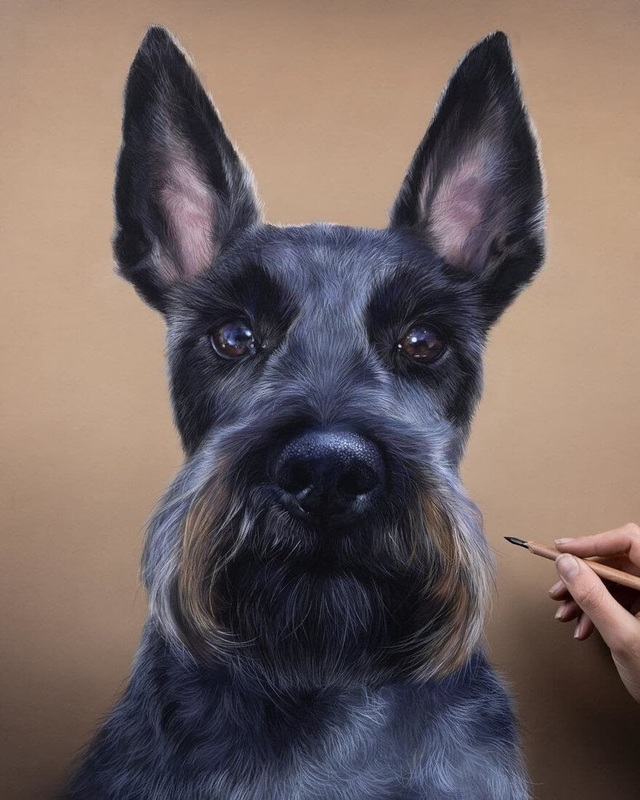 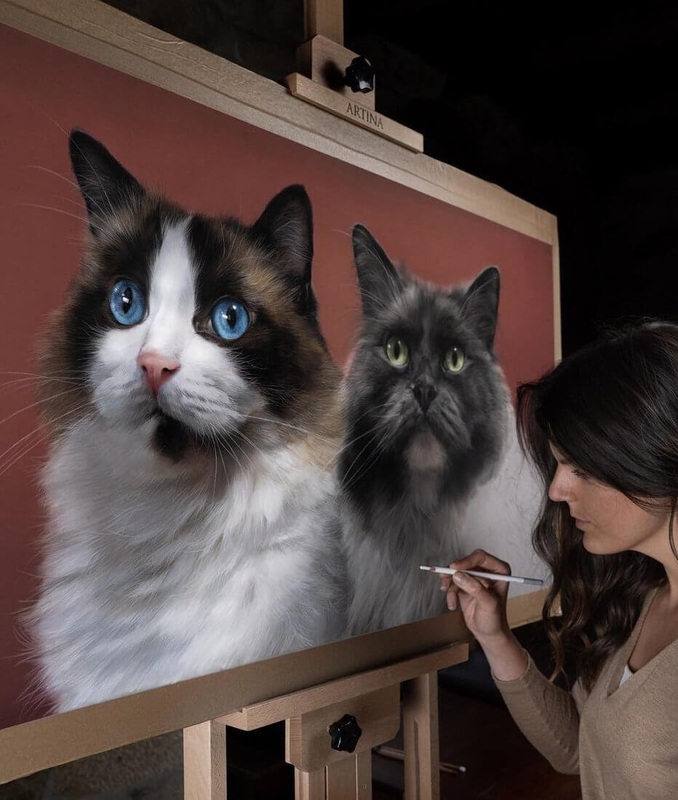 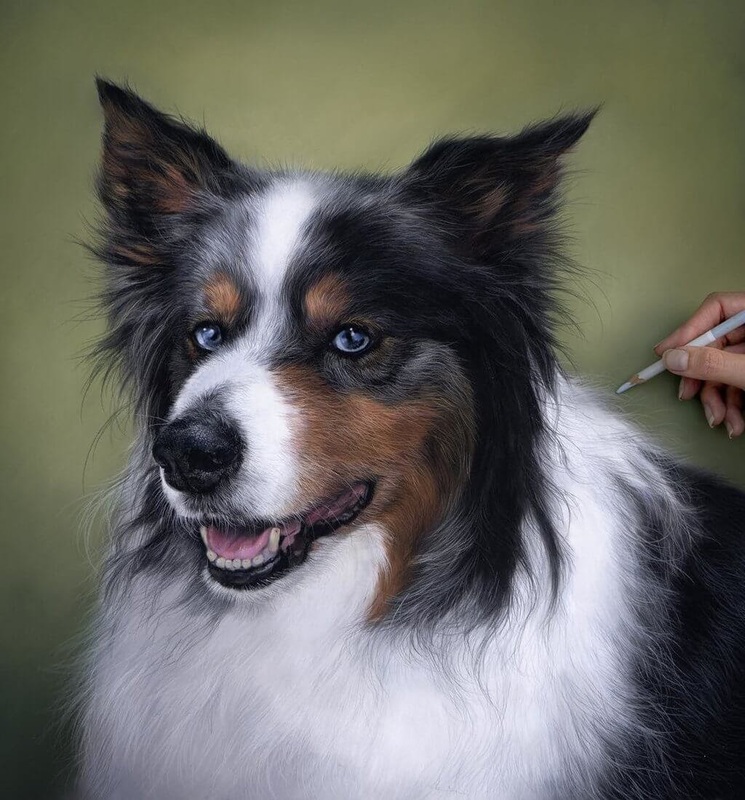 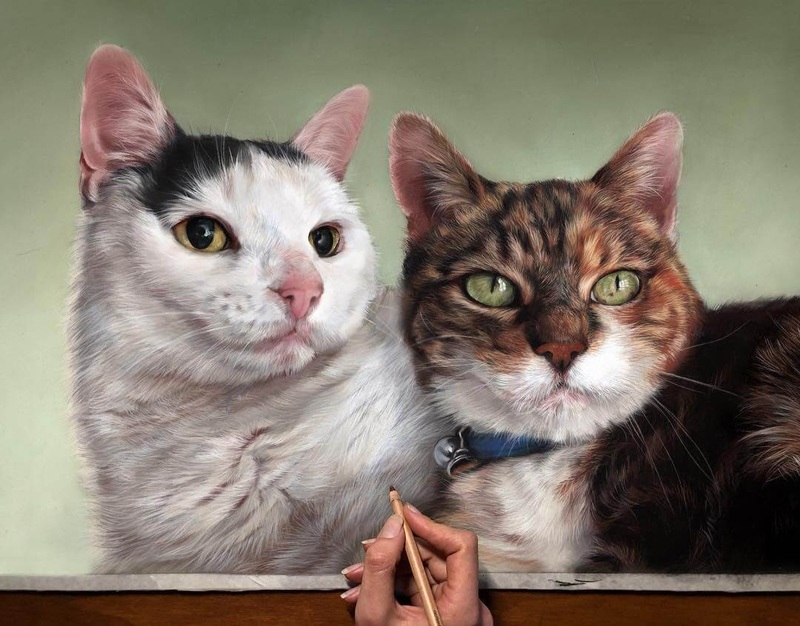 Spanish Artist Patricia Otero, is a professional pet and wildlife artist. 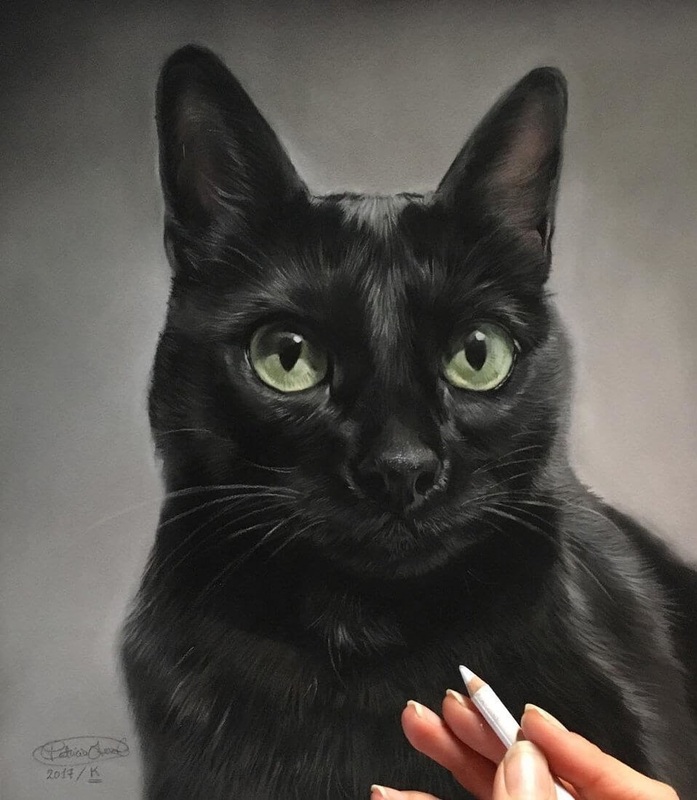 Seeing the quality of the drawings, I am sure that that did not surprise anybody : ) The ones that really impress me, are the ones with black and white fur. 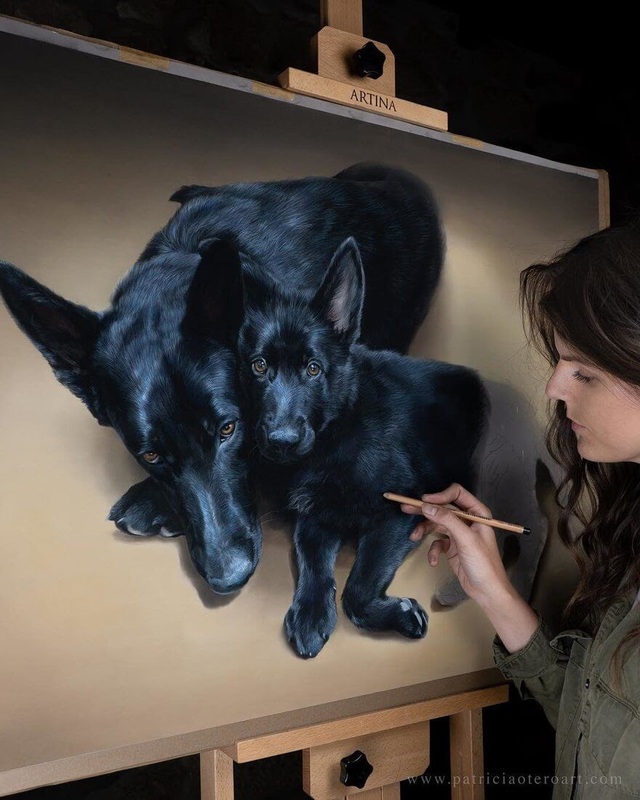 I imagine that it takes a subtle and experience technique to bring out the shine, contrast and individual hairs in these coats. 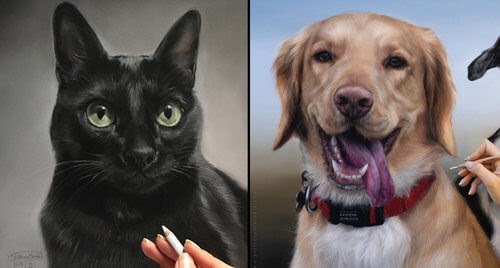 There are quite a few breeds of cats and dogs represented below, have a look and see if your companion makes an appearance.